(WCN photos by Patrick Sand) Another new business in downtown White Center: "Big Barber Bobby" just moved his Sky's Barber Shop north to 9650 16th SW from an interim spot in ... Read more..
Next Tuesday night (July 28th), ride to dinner at Proletariat Pizza in downtown White Center 5-9 pm and 20 percent of your tab will go to Seattle Neighborhood Greenways. It's ... Read more..
Seattle City Light is working on a power outage that involves almost 8,000 homes and businesses. White Center is largely spared but the SCL outage map shows areas out to ... Read more.. While the Jubilee Days street fair continues, three events of note today (Sunday, July 19th), one part of Jubilee Days, two that are separate: WHITE CENTER KIWANIS PANCAKE BREAKFAST: 7:30 am-1 ... Read more..
White Center Jubilee Days: Street fair and carnival all weekend! Saturday, July 18th, 2015 Posted in Fun, White Center Jubilee Days, White Center news | Comments Off on White Center Jubilee Days: Street fair and carnival all weekend! The big festival weekend is here and that means it's street fair time for White Center Jubilee Days - 17th SW south of Roxbury - while the carnival continues at ... Read more..
(ADDED: Piano you'll see at Steve Cox Park; photo courtesy PitP) Just announced: Where you'll find "Pianos in the Parks" around the region this summer. Twenty-two of the "one-of-a-kind, artist-designed upright ... Read more..
(King County Sheriff's Office photo) 3:56 AM: A 51-year-old man was shot and killed early this morning near 14th SW/SW 106th, according to the King County Sheriff's Office. "It appears he ... Read more.. This year's Jubilee Days festival is about to gear up, with big events Wednesday - the fireworks show at dusk at Steve Cox Memorial Park, where you'll also find the ... Read more.. 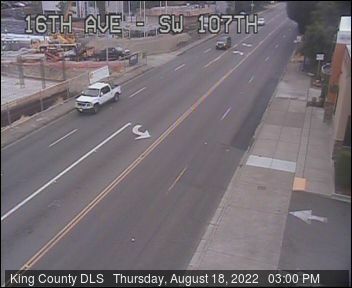 If you saw Seattle Police in the area Thursday, might have been related to this case that just appeared on their SPD Blotter website: Southwest Precinct officers arrested a prolific auto ... Read more..
A video posted by West Seattle Blog (@westseattleblog) on Jul 8, 2015 at 10:54am PDT If you hit "play" on the :15 Instagram clip above, you'll get an idea ... Read more.. Tomorrow morning at the White Center storefront of the King County Sheriff's Office, County Prosecuting Attorney Dan Satterberg and King County Sheriff John Urquhart plan to brief the media on ... Read more..
(April 2015 photo by Gill: Volunteer working at North Shorewood Park) North Shorewood Park needs you! One week from tomorrow, spend part of your day there with your fellow community members ... Read more..